Top Rated Local® is pleased to announce that TLC LAWNCARE AND LANDSCAPING is an award winner for lawn care companies in 2019. If you are looking for a lawn care company that will offer your yard a little tender love and care, look no further than this award-winning company! TLC LAWNCARE AND LANDSCAPING has received many overwhelmingly positive reviews across multiple verified sites with an average rating of 5.00 stars on Google, earning them a Rating Score™ of 92.00 and a 2019 Top Rated Local award for ranking as one of the top three lawn care companies in Mississippi! “I would normally not pay to have someone come do my yard, but I was going out of town and I didn’t have the time. Tony came recommended to me because of his good rates. I was very pleased with what I paid for, and will definitely use [them] again.” – K.S. It is because of excellent reviews like this that TLC LAWNCARE AND LANDSCAPING is now able to call themselves a Top Rated Local award winner! We were excited to learn all about how TLC LAWNCARE AND LANDSCAPING has been able to build such an impressive reputation, so we sat down with the owner, Tony. 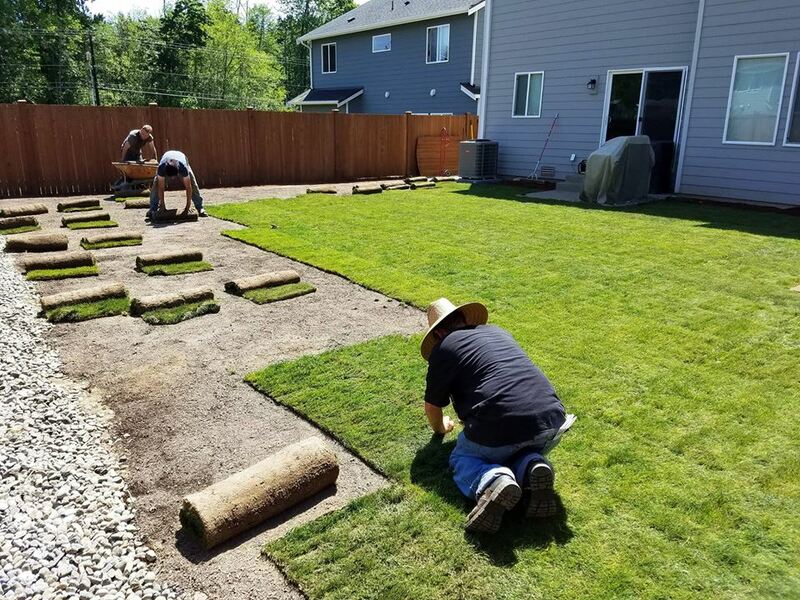 With as impressive a reputation as TLC LAWNCARE AND LANDSCAPING has managed to grow, it came as no surprise to us that word of mouth has been one of their main sources for new business. Tony said that any time he does a good job, he will ask for a review, and he greatly appreciates the customers that help support and grow his business. Congratulations to TLC LAWNCARE AND LANDSCAPING for being a 2019 Top Rated Local award winner, and special thanks to Tony for taking the time to speak with us! North Carolina’s Top Rated Local® Lawn Care Companies Award Winner: May’s Lawn Care And Landscaping, Inc.
Top Rated Local® is pleased to announce that May’s Lawn Care And Landscaping, Inc. is an award winner for lawn care companies in 2019. If you are looking for a lawn care company that will help you transform and care for your yard, look no further than this award-winning company! May’s Lawn Care And Landscaping, Inc. has received many overwhelmingly positive reviews across multiple verified sites with an average rating of 4.81 stars, earning them an impressive Rating Score™ of 93.10 and a 2019 Top Rated Local award for ranking as one of the top 10 lawn care companies in North Carolina! “We have used May’s Lawn Care for both our personal property and for our homeowner’s association. I can’t say enough positive things about [them]. They are wonderful. We have experience with regular maintenance services, new landscape installation, and tree trimming, all first rate. They respond promptly, show up when expected, do quality work with fair pricing, and offer friendly customer service. What more could you ask for? These folks are the best!” – A.D. It is because of excellent reviews like this that May’s Lawn Care And Landscaping, Inc. is now able to call themselves a Top Rated Local award winner! We were excited to learn all about how May’s Lawn Care And Landscaping, Inc. has been able to build such an impressive reputation, so we sat down with the Account Manager, Qwanza. With as impressive a reputation as May’s Lawn Care And Landscaping, Inc. has built, we were not surprised to learn that word of mouth has been their main source for new business. They also utilize online resources, like Facebook, Twitter, and their website. Congratulations to May’s Lawn Care And Landscaping, Inc. for being a 2019 Top Rated Local award winner, and special thanks to Qwanza for taking the time to speak with us! 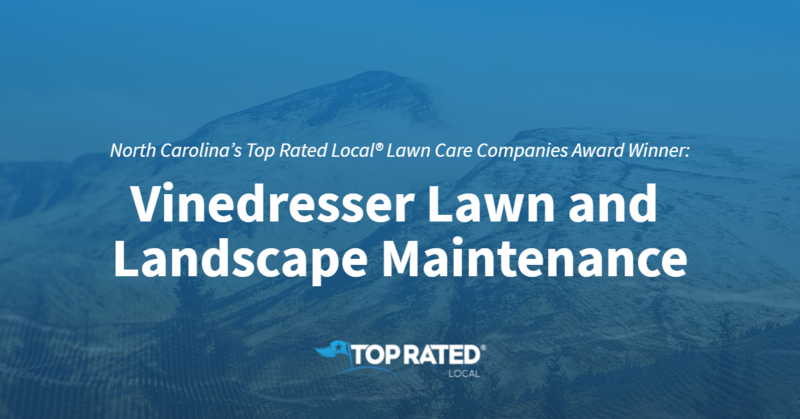 Top Rated Local® is pleased to announce that Vinedresser Lawn and Landscape Maintenance is a 2019 award winner for lawn care companies in North Carolina! 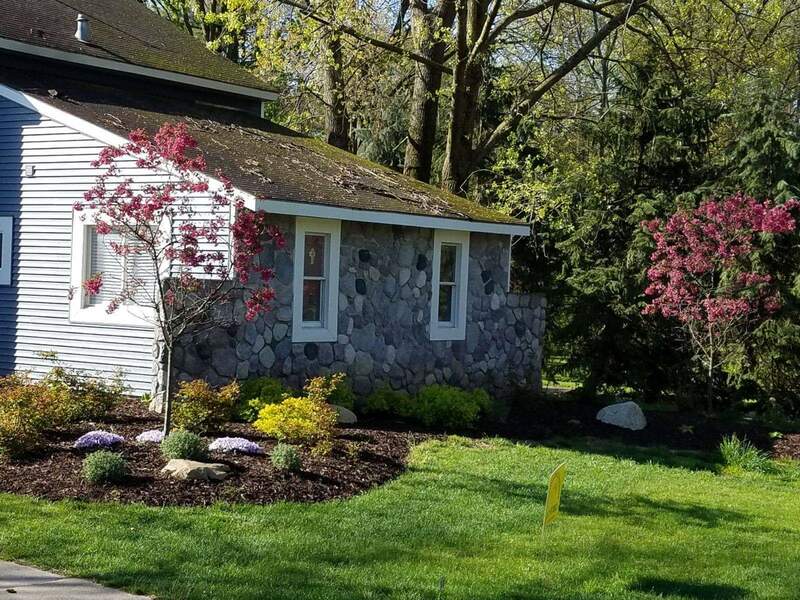 Make a great first impression on friends, neighbors and everyone who comes to your home by taking advantage of the lawn care expertise of Vinedresser Lawn and Landscape Maintenance in Wilmington! Vinedresser Lawn and Landscape Maintenance has received dozens of reviews on multiple verified sites with an average rating of 4.99 stars, earning them a tremendous Rating Score™ of 93.88 and a 2019 Top Rated Local award for ranking among the top 10 lawn care companies in all of North Carolina! “These guys are, hands down, the best landscaping company I’ve ever worked with in my life. Britt and his team are top-notch professionals that will go out of their way to make it happen! I am truly grateful to be one of their clients. [This is a] highly recommended business [with] absolutely no comparisons.” – Hogan H.
In order to learn a little more about this award-winning business and its incredible online reputation, we took a few minutes to talk with the owner of Vinedresser Lawn and Landscape Maintenance, Britt McCrimmon. The first question we had for Britt was what sets Vinedresser Lawn and Landscape Maintenance apart from their competition in North Carolina. Brit told us that they are a customer-focused company that offers a variety of services, including lawn mowing, bush trimming, mulch and pin straw installation, and that 99 percent of what they do is landscaping and lawn maintenance. Britt attributes Vinedresser Lawn and Landscape Maintenance’s strong online reputation to the next-level customer service they provide. Because of this, he and his team are never afraid to ask their clients for reviews. Outside of building a powerful online reputation, Vinedresser Lawn and Landscape Maintenance has gotten their name out there through signage on their vehicles, flyers and door hangers. Congratulations to the team at Vinedresser Lawn and Landscape Maintenance for being a 2019 Top Rated Local award winner, and thank you so much, Britt, for taking the time to speak with us! 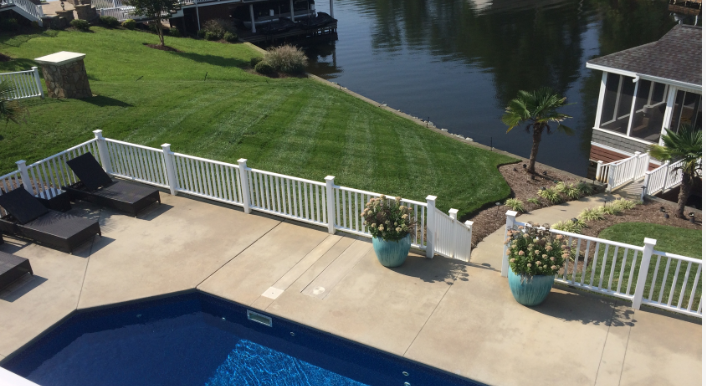 We highly recommend Vinedresser Lawn and Landscape Maintenance in Wilmington. Visit their website today! Top Rated Local® is pleased to announce that Washington Lawns is an award winner for lawn care companies in 2018. If you are looking for a lawn care company that will not only create the yard of your dreams, but will also teach you how to care for it, look no further than this award-winning company! Washington Lawns has received many overwhelmingly positive reviews across three different verified sites with an average rating of 4.74 stars, earning them an impressive Rating Score™ of 94.44 and a 2018 Top Rated Local award for ranking as the number one lawn care company in Washington! “I had my entire front yard overhauled by Brian and his crew. They were friendly, courteous, and finished the job on time and, even better, on budget! I would definitely recommend Washington LawnScapes to any of my friends and family.” – J.H. It is because of excellent reviews like this that Washington Lawns is now able to call themselves a Top Rated Local award winner! We were excited to learn all about how Washington Lawns has been able to build such an impressive reputation, so we sat down with the owner, Zak Venturo. The first thing we wanted to know was what it is that makes Washington Lawns stand apart from their competitors. We learned that they are focused on education and even have an educator on staff. They embrace teaching their clients about environmental facts and system management, which they believe is important for the plants. Washington Lawns has managed to create an impressive reputation, so we were excited to learn about some of the ways they have marketed themselves. Zak told us about the efforts they have put into creating an excellent website. They make sure to fill that site and their social media pages with valuable content, and use them to reach out to their community. They have also recently added a tool to their site that allows people to self-schedule appointments. Offline, Washington Lawns has been involved with community magazines, both in advertising and content. Congratulations to Washington Lawns for being a 2018 Top Rated Local award winner, and special thanks to Zak for taking the time to speak with us! Top Rated Local® is pleased to announce that Dalmatian Lawn Care and Pressure Washing, LLC is a 2019 award winner for lawn care companies in North Carolina! 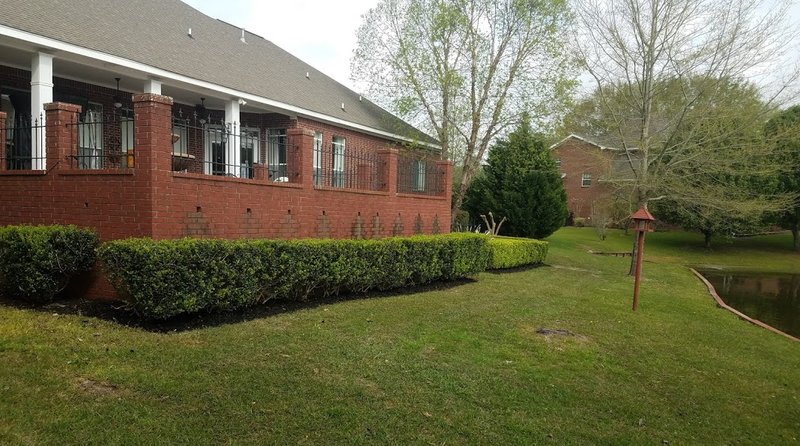 Make your lawn the envy of your neighborhood by working with the experts at Dalmatian Lawn Care and Pressure Washing, LLC in Goldsboro. Dalmatian Lawn Care and Pressure Washing has received more than 100 reviews on four verified sites with an average rating of 4.81 stars, earning them a fantastic Rating Score™ of 96.06 and a 2019 Top Rated Local award for ranking among the top 10 lawn care companies in all of North Carolina! “I’ve been using this company for two years now, [and I’m] looking forward to going into my third with them. [They are] very professional people that show up on time and do a great job. I mainly have been using them for just lawn care needs, but this past fall, I decided to let them do the pressure washing on my house since I was very pleased with the way my lawn always turns out. They did a fantastic job on the house as well [and] made 13-year-old siding look brand new. [The] best part is that their prices are always better than anyone else I’ve come across when I was looking prior to finding them. I recommend them to everyone that I speak with that needs lawn care or house cleaning care.” – Jeffrey T.
Rich Minnich, the owner of Dalmatian Lawn Care and Pressure Washing, generously gave us a few minutes of his time to tell us about his award-winning business and its phenomenal online reputation. The first question we had for Rich was what separates Dalmatian Lawn Care and Pressure Washing apart from their competition in North Carolina. Rich points to the fact that they are a small, family-owned business. They pride themselves on the fact that their drug-screened and uniformed crew is always professional and polite. With every job, they work to exceed expectations. 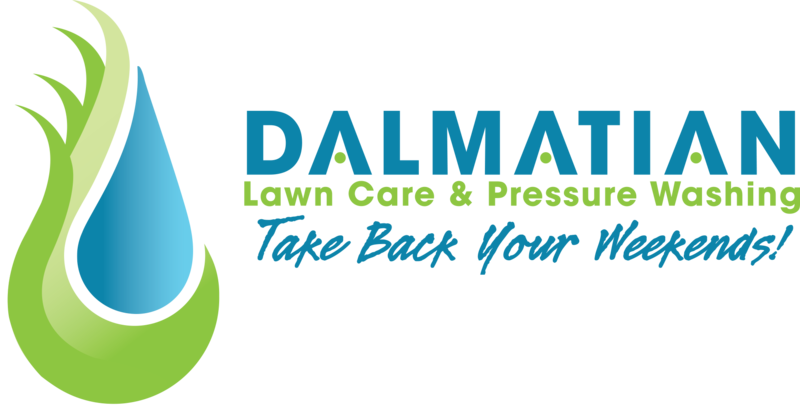 We also wanted to know what their mission is at Dalmatian Lawn Care and Pressure Washing and how they work to make the world a better place. Rich told us that his crew works long, hard days and that his goal is to ensure that they are happy. He also said that keeping employees happy is an important part of keeping customers happy. Rich, who is a disabled veteran, went on to tell us that Dalmatian Lawn Care and Pressure Washing is a family-oriented business that works with great causes and gives back to their community. Rich attributes Dalmatian Lawn Care and Pressure Washing’s strong online reputation to their commitment to following up with the customer after the work is done and communicating with the client to make sure his team has met and exceeded their expectations. Outside of building a powerful online reputation, Dalmatian Lawn Care and Pressure Washing has spread the word about who they are and what they do by working on their website’s SEO (search engine optimization), by posting frequently on Facebook and through their trucks and equipment, which are branded with graphics. Congratulations to the team at Dalmatian Lawn Care and Pressure Washing, LLC for being a 2019 Top Rated Local award winner, and thank you so much, Rich, for taking the time to speak with us! We highly recommend Dalmatian Lawn Care and Pressure Washing, LLC in Goldsboro. Visit their website today! Top Rated Local® is pleased to announce that Lang’s Lawn Care is a 2019 award winner for lawn care companies in North Dakota! For all of your lawn care needs in Bismarck, we highly recommend working with the experts at Lang’s Lawn Care. Lang’s Lawn Care has received dozens of reviews on multiple verified sites with an average rating of 5.00 stars, earning them a remarkable Rating Score™ of 95.00 and a 2019 Top Rated Local award for ranking among the top 10 lawn care companies in all of North Dakota! “[They provided an] excellent spring clean-up service! I tried them out for a yearly spray and fertilizer, and my lawn looked more full than ever. I usually don’t give five stars, but the customer service and ease of contact made my decision easy.” – Z.W. Dale Lang, the owner of Lang’s Lawn Care, generously gave us a few minutes of his time to tell us about his award-winning business and its superior online reputation. Dales attributes Lang’s Lawn Care’s strong online reputation to their commitment to doing good work. Not only has this led to many people recommending Lang’s Lawn Care in the form of reviews online, but it’s also generated a lot of word of mouth for the business. “Stay loyal to your customers; get the work done timely, and do a good job. Forget about weekends off; forget about holidays off. You own a business. …If the customer needs you, you’re there for them, and they’ll treat you right. Congratulations to the team at Lang’s Lawn Care for being a 2019 Top Rated Local award winner, and thank you so much, Dale, for taking the time to speak with us! We highly recommend Lang’s Lawn Care in Bismarck. Visit their website today! Top Rated Local® is pleased to announce that Kut And Kill is an award winner for lawn care companies in 2019. If you are looking for full-service lawn care, look no further than this award-winning company! 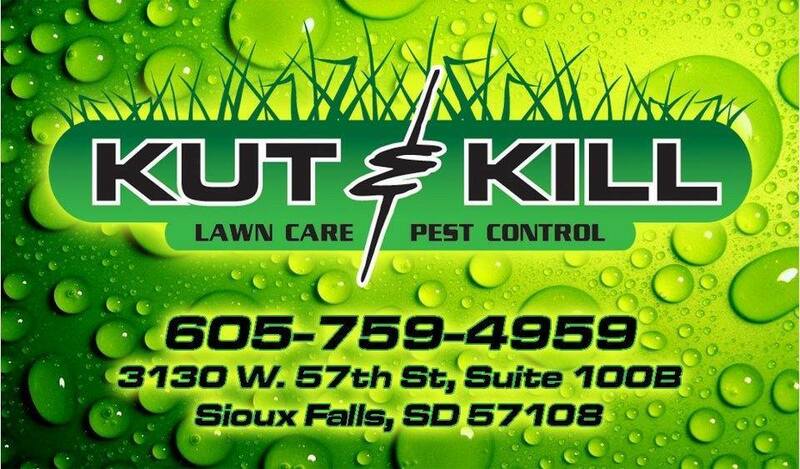 Kut And Kill has received many overwhelmingly positive reviews across multiple verified sites with an average rating of 4.70 stars, earning them an impressive Rating Score™ of 91.00 and a 2019 Top Rated Local award for ranking as one of the top three lawn care companies in South Dakota! “My mom had the worst lawn ever until these guys showed up. It was a miracle. They even gave her good instructions on what to do and how to keep it up, which is a bonus, because she can’t even keep a fake plant alive. Definitely going to have Kut and Kill again!” – D.J. It is because of excellent reviews like this that Kut And Kill is now able to call themselves a Top Rated Local award winner! We were excited to learn all about how Kut And Kill has been able to build such an impressive reputation, so we sat down with the General Manager, Bill Mediger. The first thing we wanted to know was what it is that makes Kut And Kill stand apart from their local competitors. For Bill, it comes down to the number of services they offer. Kut and Kill is a full-service company, and does everything needed to keep a lawn looking amazing. Sod, irrigation, landscaping, fertilizing, and maintenance are all within the services offered by Kut and Kill. Kut And Kill has managed to create quite an impressive reputation, so we were excited to learn more about some of the marketing strategies they have used over the years. We learned that they have a presence on social media platforms like Facebook, and have taken care to make a great website. Offline, they have invested in putting car clings onto 27 different vehicles. With all of this, they still greatly value word-of-mouth referrals and reviews, as most of their residential clients find them because of referrals. Congratulations to Kut And Kill for being a 2019 Top Rated Local award winner, and special thanks to Bill for taking the time to speak with us! Top Rated Local® is pleased to announce that Cayering Lawn Service, LLC is a 2019 award winner for lawn care companies in Minnesota! For reliable and quality lawn care service in Lakeville, Minnesota area, we recommend visiting Cayering Lawn Service, LLC. Cayering Lawn Service, LLC has received dozens of reviews on three verified sites with an average rating of 4.70 stars, earning them an amazing Rating Score™ of 93.00 and a 2019 Top Rated Local award for ranking among the top 10 lawn care companies in all of Minnesota! “[This is the] best and hardest working men I’ve seen in the lawn care business. They take the time to get to know their customers, and that makes for an unforgettable experience. Thank you, Cayering Lawn, for all your devotion and hard work.” -Blake J. We wanted to learn a little more about this award-winning business and its impressive online reputation, so we took a few minutes to talk with Tim Cayer, the owner of Cayering Lawn Service, LLC. Outside of building a powerful online reputation, Cayering Lawn Service, LLC has gotten their name out there through fliers, Facebook ads, and trade shows. Congratulations to the team at Cayering Lawn Service, LLC for being a 2019 Top Rated Local award winner, and thank you so much, Eric, for taking the time to speak with us! Visit their website here! Michigan’s Top Rated Local® Lawn Care Companies Award Winner: Michigan Lawn Service & Snow, Inc.
Top Rated Local® is pleased to announce that Michigan Lawn Service & Snow, Inc. is a 2019 award winner for Lawn Care Companies in Michigan! If you find yourself in the Grand Rapids area and are in need of property maintenance solutions, look no further than Michigan Lawn Service & Snow, Inc.
Michigan Lawn Service & Snow, Inc. has received dozens of reviews on verified sites with an average rating of 4.81 stars, earning them a fantastic Rating Score™ of 94.09 and a 2019 Top Rated Local award for ranking among the top 10 lawn care companies in Michigan. “[I] needed someone to come out and clean up a property for sale. Multiple companies were called, and Michigan Lawn was the only company that returned our call. 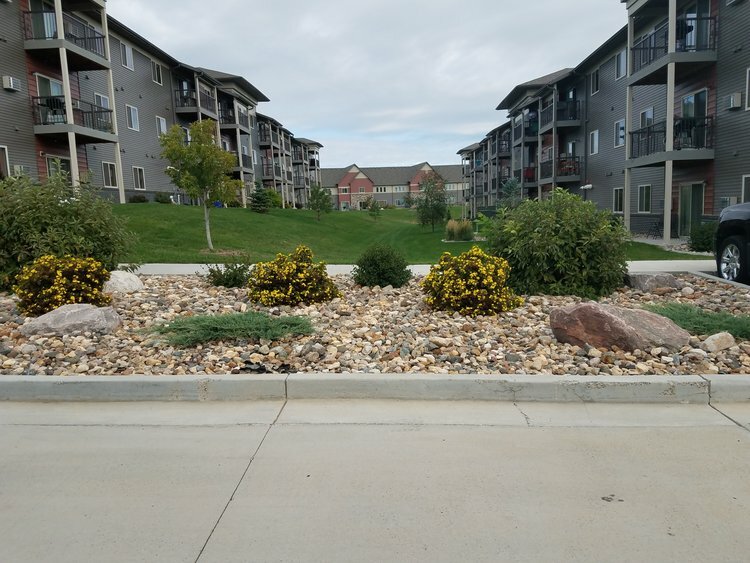 They went above and beyond expectation; the property was edged well, [and] they even included the section of lawn between the sidewalk and street. The concrete driveway was full of dirt, mulch, and leaves, and they cleaned it spotless. [The] property looks pristine now. [They provided] excellent service, price[s], and responsiveness. [I] highly recommend. 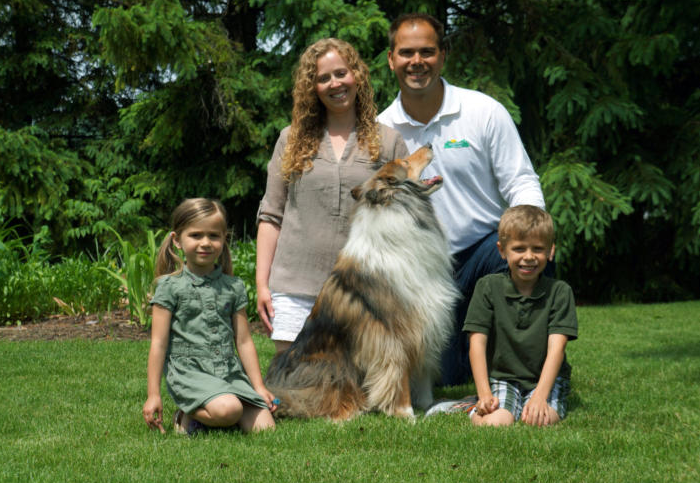 -Joshua L.
In order to learn a little more about Michigan Lawn Service & Snow, Inc., we took a few minutes to talk with the owner of this award-winning business, Jake McCurdy. The first question we had for Jake was what sets Michigan Lawn Service & Snow, Inc. apart from the other lawn care companies in Michigan. Jake told us that it was the plain and simple fact of offering only high-quality work and a fair price. He goes on to share that he seeks to drive the value of his service for each and every job. Jakes shares that he believes in leaving the customer happy with the work that has been done. If not, then the brand’s reputation is diminished. Jake credits Michigan Lawn Service & Snow, Inc.’s strong online reputation to the fact that he offers the best quality of service in the area. Congratulations to the team at Michigan Lawn Service & Snow, Inc.for being a 2019 Top Rated Local award winner, and thank you so much, Jake, for taking the time to speak with us! Visit his website here!